I discovered his music through a friend in Paris, Armelle Pioline, who used to be in a very good French group called Holden. They were very singular, and quite similar to Stereolab, actually: very poetic. And anyway she had worked with quite a lot of French people and she introduced me to a scene of French musicians that were kind of successful in their field but that I had never really explored. 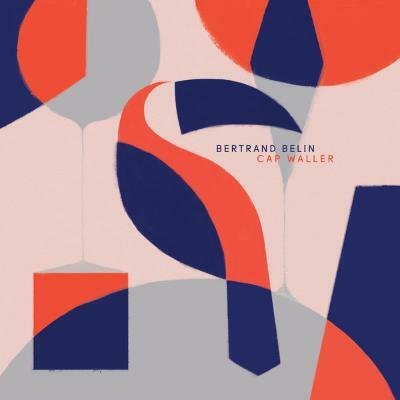 Bertrand Belin had a sort of hit in his own world called 'Hypernuit' and that song really shattered me. It had such depth: it was kind of a ray of light into a deep darkness. It's a little bit spooky, but incredibly poetic and haunting. It's the kind of tune you can't really put your finger on. It's kind of diffused but it creates a beautiful picture with touches of darkness and light. I'm very attracted to this type of songwriting; there's a singularity in the writing that I love very much. For me the hit on this particular album is 'La Mot Juste'. Pretty much everyone who's been through my kitchen I've played this record to, and they've all flashed on it: what's this? They've taken the name and really showed interest. It resonates; there's a deep resonance with the beauty of it. I'm not particularly a big fan of Bertrand's voice, which a lot of people seem to go for, but certainly the songwriting and the lyrics are quite sharp. He's also an author: he writes books. And the production on the record is very beautiful. It's 'La Mot Juste': the just instruments, the just notes, the just amounts of whatever it took. I like that. There's no excess, no fat. It's what it is. I love it.